Games can be a lot of things. Action packed. Chaotic. Intense. Challenging. None of these words describe Submerged. This is a wonderful thing. 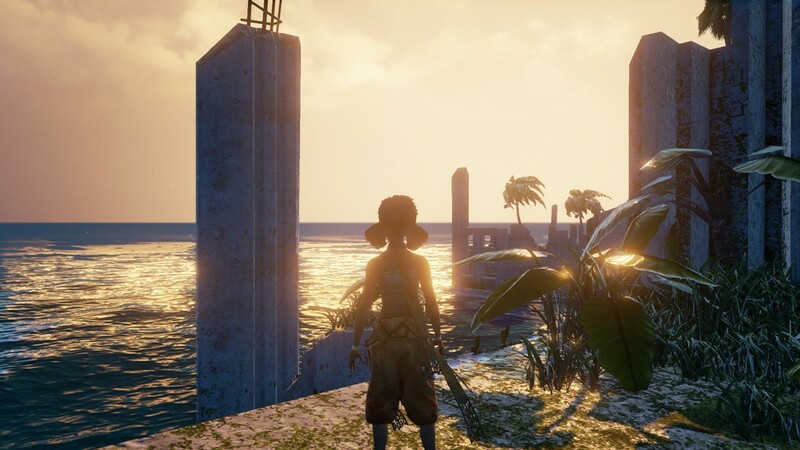 Submerged by Uppercut Games is a newly released open world exploration game that nudges the idea of "gaming" in a bit of a different direction. Sure, you have a story to follow, goals to accomplish, achievements to unlock and things to collect - but you don't need to. When it comes to Submerged - you can simply be. When I was young, I used to love going on holidays. Not necessarily because I enjoyed going away someplace - I just loved sitting on the backseat and enjoying the ride. Sometimes I'd sit back and get out my gameboy - others I'd pop on my headphones and stare out the window for hours, watching the trees go by, letting my imagination run wild. Submerged captures this feeling of just sitting back and taking in the sights - at any time, you can simply stop at any time and just relax. Submerged pushes itself as a "combat free" game. When I first came across this particular sentence, I'll admit, I was intrigued - but I also wondered if it would actually work. Combat is often challenge, and without challenge, isn't what we do kind of meaningless? What's the point in playing this game if there is nothing to challenge me at any time throughout the game? If there is no threat of death or failure at all... won't it be boring? I was quite happy to find that no, in fact - the game is not boring, there is meaning, and there is a reason to play. To put it simply, without any threat of danger, from the get go you can just go and explore. Wherever you want to go, whatever you want to see, you can. Sometimes, it's just nice to slow down and take it all in. There is no rush to complete an objective, no need to run. Submerged simply says, "Hey. We know you've had a long day. Here's a world for you to just enjoy, at your own pace, at your own leisure. Be it 5 minutes or 2 hours, I'll be here whenever you need." The game does have a narrative that points you in a direction, should you feel the need to follow some kind of path - your little brother is ill, so you are tasked with collecting 10 bundles of various resources to help bring him back around to full health - but there isn't a need to really do this, ever. The game doesn't try and go for some kind of realistic approach to the situation - There's no food you need to get to fill a hunger meter, no materials to collect to build a shelter. Your little brother will not die if you never even come back at all - you can relax and get back to him when you want to. This may seem silly and unrealistic, but that's the point. The narrative surrounding the characters entwined with that of the city are almost a separate part of the game altogether. In the way that the two playable parts of the game are broken up into climbing buildings and boat sailing, the game itself is split between a story narrative and free roam exploration. One without the other would be OK; having them both without one interrupting the experience of the other makes this game unique, and it pulls it off. Sometimes, sitting down and getting waist deep into a shooter campaign is just to much - sometimes, 200 hours of time is a daunting amount to spend on an RPG. Sometimes, you just need something simple and beautiful. 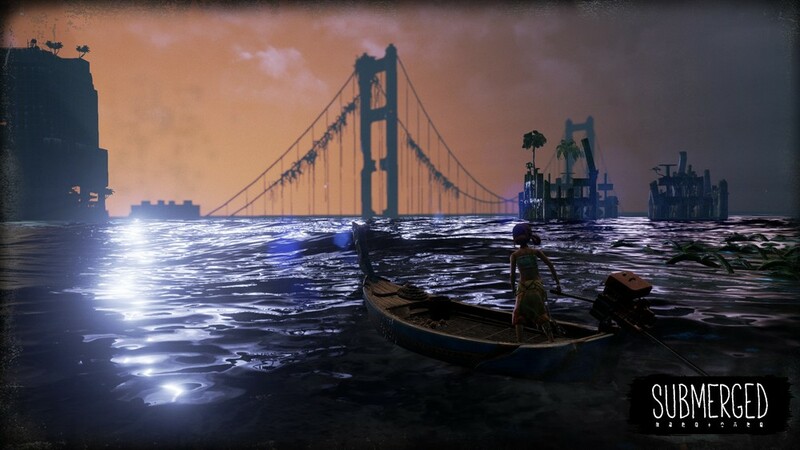 Sometimes, a game like Submerged comes along and gives you just what you need. Review code for Submerged on Steam was provided by Uppercut Games. This is a snippet of a much larger story to come - stay tuned for more on Submerged.